According to FEMA, flood claims occurred in every state in our country in 2016 with the average claim cost in excess of $31,000. Just because your property doesn’t sit next to a stream, river or other body of water doesn’t mean you won’t be impacted. Our recent hurricanes are a great example. Heavy rains can overwhelm drainage systems, run-off from hillsides can seep into your basements and levees can fail. Pretty much anywhere rain falls is where flooding can occur, although, rain is not always the reason. Additionally, it is important to note that flood insurance is NOT included with your standard homeowners insurance policy. Report your claim as soon as possible and have open and frequent communication with your insurance adjuster. Photograph your damages (great if you have before pictures also saved to the cloud, not on a computer hard drive). Your insurance company will likely come out and photograph the damages as well. Keep a list of all of the items you lost in the flood. Receipts are great as well as lists. Take a read through your policy to ensure you understand your rights and coverage. 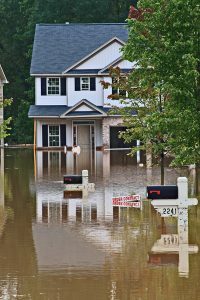 If you’re considering purchasing flood insurance, we can help. Flood insurance isn’t necessarily expensive. If you happen to live in a flood plain or near a body of water, chances are you’re likely going to pay a hefty sum. If you live away from typical flood areas, your premiums can be much more reasonable. Considering the average cost of a flood claim, it isn’t a bad idea to assess your risk. If flood insurance is on your mind lately, give us a call. Who is responsible if your tree falls onto your neighbor’s house? Neighbors are great! You can count on them to keep an eye on your place while you’re away, let out a furry friend or even borrow some last minute ingredients! Shoot, some of your neighbors are probably some of your closest friends. But having neighbors can sometimes cause some uncomfortable exchanges. With spring on the way, often high winds occur when the cold air and warmer air mix together. This, mixed with sometimes wet soil can bring a vulnerable tree toppling down. So, what happens when YOUR tree drops down onto your neighbor’s house, car, fence or other property? Who is liable for that and which insurance company should you call? Well, the answer is most of the time quite simple. 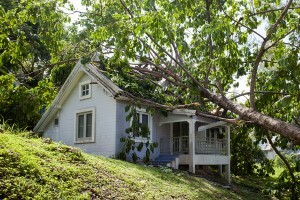 Whoever owns the damaged property is responsible to get the damage repaired – not the owner of the tree. Your tree falls onto your neighbor’s house: Neighbor responsible to mitigate damages and call their own insurance company. Your neighbor’s tree falls on your car: You should call your insurance company. Now, proving any sort of negligence on the part of the tree owner is exceedingly rare. Trees die but can remain strong and standing for many years. If you or your neighbor has a tree that has died and you’re worried about it, you should call out an arborist. If the tree is the neighbors, have a conversation about the risks it poses and potential harm it could cause if it fell. Perhaps this will remedy the problem. Founded in 2005, Insurance Brokers of Arizona is a leader in quality protection for individuals, families and businesses throughout the Southwest. Insurance Brokers of Arizona is currently licensed in Arizona and California. Providing world class customer service with our extremely experienced and knowledgeable team, paired with our ability to understand our customer’s coverage needs, drives the success of our agency. https://insurancebrokersofaz.com/wp-content/uploads/2016/03/fallen-tree.jpg 600 900 Administrator https://insurancebrokersofaz.com/wp-content/uploads/2018/10/IBOAZ-Transparent-Logo.png Administrator2016-03-18 09:53:522016-03-18 09:53:52Who is responsible if your tree falls onto your neighbor’s house? For many of us, where we live symbolizes us and what is in that house symbolizes our lives. Our belongings represent our memories, personal style and even investments that hold significant value such as art. When you add up how much all of your personal items are worth, it can be a substantial figure into the many tens of thousands of dollars or more. Taking the time to inventory your home can be useful in the event of theft or damage to the contents of your home. Keep track of your items with easy to use chart! You can even attach photos of your items and quickly send this chart to your insurance agent to help speed up the claims process. Another way to document is with a thorough video or video series. 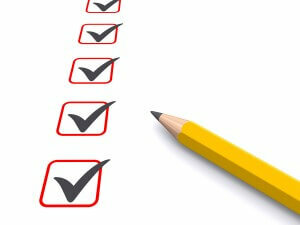 Be sure to store your home inventory checklist in a safe place like in the cloud.